Find a vacation home to rent in Castelvetrano from our list of vacation rental properties. Campaya has over 19 vacation homes available in Castelvetrano, which give you the possibility to locate a unique accommodation in Castelvetrano which completes your check-list in search for the perfect self catering vacation apartments in Castelvetrano or vacation villas in Castelvetrano. This detached house is situated near Triscina, a town that in high season is a very popular holiday destination for many tourists. Nice independent holiday home with pool in Selinunte (in the province of Trapani). At guests' disposal elegant park (2000 m2) rich in ornamental plants and private pool with whirlpool. Modern basic and comfortable house near the sea, at the borders of a natural park. In the nearby is a nice sandy beach and the archeological site of Selinunte. Independent house located between Castelvetrano and Marinella di Selinunte, in the green landscape of Trapani province. Bright holiday home located in Triscina di Selinunte, a district of Castelvetrano in the province of Trapani and just 50 m from the sea of Sicily. Comfortable apartment with big equipped terrace with panoramic view over the seaside and the beautiful beaches of Triscina. Surrounded by olive groves overlooking the Belice Reserve and just 12 km from the Archaeological Park of Selinunte is this small holiday home with sea view. Holiday apartment in Marinella di Selinunte, coastal tourist site with uncontaminated beaches and inviting sea, 13 km from Castelvetrano. Cosy cottage with view over the sea and the archeological area of Selinunte, which is about 3 minutes on foot away. Pleasant holiday apartment in a nice residence composed by private apartments only and situated in the center of the beautiful fisherman’s hamlet of Marinella di Selinunte. Apartment in the centre of the pretty seaside town of Marinella di Selinunte, set in a large “baglio”, a typical rural property consisting of several accommodations facing a central patio. 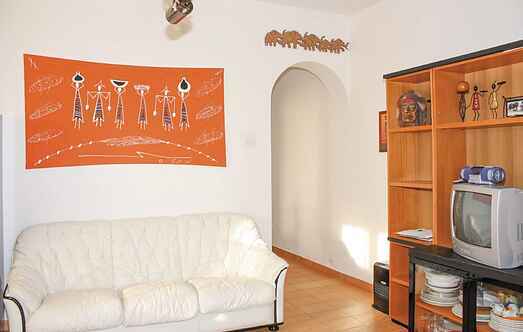 Bright holiday apartment in Triscina of Selinunte. The apartment is on 1st floor with spacious veranda from where it is visible some sea glimpse, just 150 meters away.